Glitz and glamour will enter your house with the Phi scissors. The noble cutting utensil by Hay wins you over with subtle shapes and materials. Phi represents the golden section in maths, and how could such an association suit something more than scissors? Balanced proportions and the shiny colour refer to the eponymous letter of the Greek alphabet in its design. 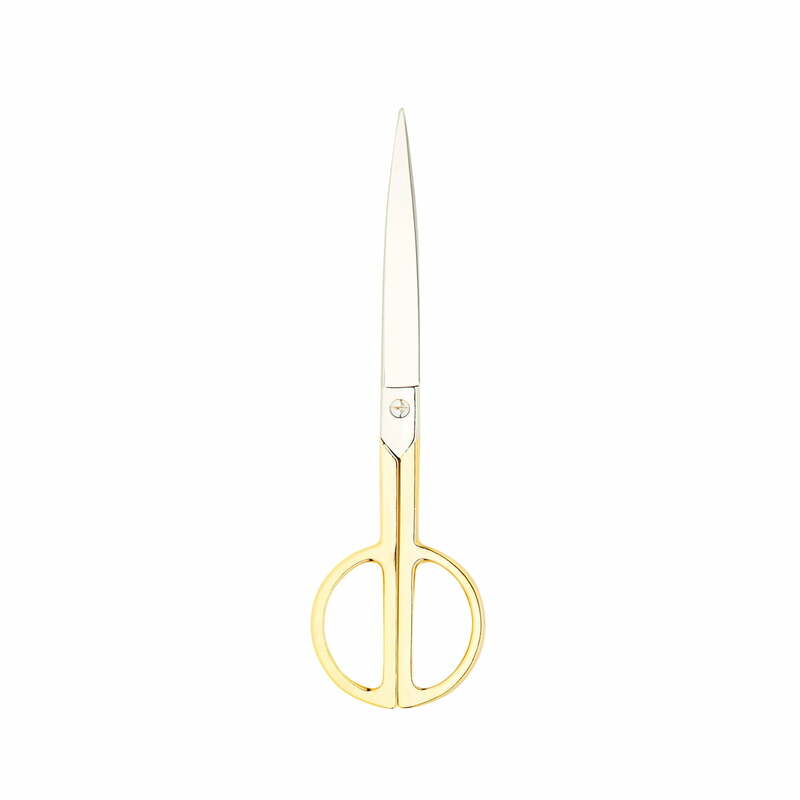 The shiny appearance of the Hay Phi scissors perfectly suits the slim shape, which is perfect for filigree cuttings in the office or while tinkering. Despite the noble look the Phi scissors aren’t too precious to be used for tough jobs, which might fall to a pair of scissors e.g. in the kitchen. Hay produces the Phi scissors out of stable steel, so that they withstand all every day duties. The handles are coated with gold turning the scissors into a glamourous accessory, which is why they should not be hidden in a drawer.